There aren’t many products out there that can claim to improve insulation, be easy to maintain and have a low environmental impact. There are even fewer products that come in an appealing range of patterns and styles. However, uPVC windows and doors in Sydney can make these hefty claims and much more. We’re going to take a look at some of the great design options you have with uPVC. We’re also going to examine Australian regulations for windows and doors and see how these products stack up. Do you like a touch of style and grace in your home? One way to achieve it is by using decorative glass in your uPVC windows. This type of glass adds personality and class to any interior. You can have glass inlaid with a commercial logo or a personal design of your own creation. 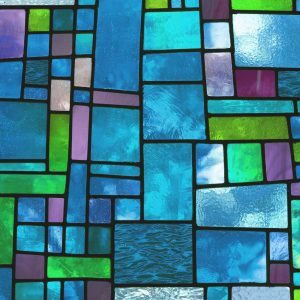 Whatever you choose, decorative glass is a great way to add a splash of personality to your home. Mirror glass is another option. It helps to augment the sense of space and light in your home. It can be used to make smaller rooms seem larger, bring light into dark spaces, and create a unique design aesthetic. Frosted glass is another option for your uPVC windows. It is best used in rooms where privacy is a priority. For example, you could have a feature wall of frosted glass in your bathroom. This may reduce the amount of natural light that gets in, so you may wish to install a skylight to maintain a good level of sunlight in the bathroom. Tinting is a decorative option that will also sun-proof your home. It will reduce a good amount of heat from the sun and will bounce back the UV rays too. It will help to insulate your home, meaning you’ll spend less on air conditioning during the summer. Tinted PVC doors in Sydney also offer a degree of privacy from the outside world – perfect for those with living spaces that face busy streets. Now let’s take a look at the Australian regulations on windows. Every window manufacturing company in Australia needs to make windows and doors that meet specific requirements. These requirements come outlined in technical manuscripts known as “Standards”. These get developed by industry leaders and the Australian government. Standards make sure that both products and construction techniques meet certain quality requirements. Materials can come from every corner of the globe, so it’s important that they are up to scratch and will withstand Australian conditions. If you’d like to know more about window glass types and Australian standards, get in touch with Mint Window & Door Solutions. We’re more than happy to have a chat with you. Also, please feel free to view our range of products – all manufactured according to Australian standards. We stock uPVC products for windows, doors and even double glazed sliding doors in Sydney.